The filmmaking/artist duo hazart has been collaborating together for over a decade. They began their professional careers in film and television production in 2007 and have been concentrating on their own art since 2012. During this time their accomplishments and work spans many different genres and mediums, from political photo essays, ‘Atrophy Annie’(2008) + ‘The Unequal Project,’(2012) to the fine art photography series ‘Cinematic Exposure’(2018). Always eager to experiment and grow, the duo found inspiration through reinventing the most famous love scene ever staged, the balcony scene from Shakespeare’s ‘Romeo + Juliet,’ into a short film, ‘Still A Rose’(2015). Their skill as filmmakers and vision as storytellers is always apparent whether it’s the academy-qualifying short, ‘Immediately Afterlife’(2014), which examines the idea of belief through the eyes of two survivors of a suicidal cult, or a comedic and cerebral look at a first date gone awry in their adaptation of ‘Title’(2015). 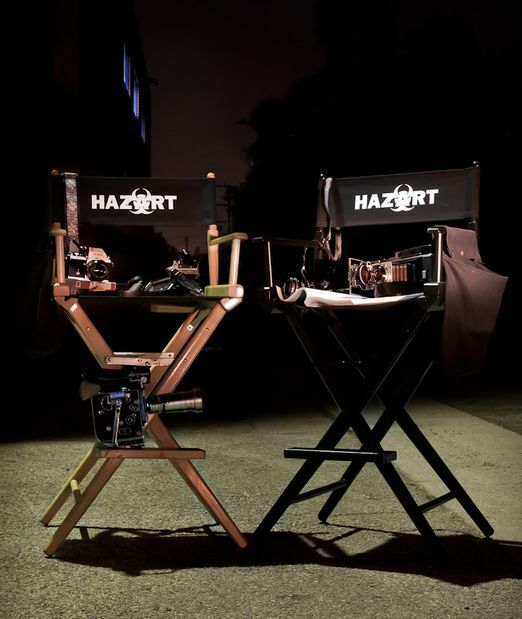 Hazart continues to utilize all they have learned from veteran directors and accomplished actors to fully realize their work. Currently, they are writing and developing multiple features films and television properties as they continue to pursue stories and ideas that inspire them to create new and provocative work.